What’s the end result of your constant quitting? Short term pleasure over Delayed Gratification. This picture will either resinate with you 25 years from now….Coulda, Woulda, Shoulda…. OR YOU WILL MAKE SOMETHING SPECTACULAR OF YOUR LIFE. All factors must be looked at, and more importantly looked at consistently over time to determine one’s course of action. Too many panic over scale weight and sometimes take drastic measures to self-correct. Two identical sponges are placed side by side. One is saturated with water and the other is completely dry. Which is heavier? Of course the saturated one. I can reverse the situation very quickly by placing one in the dryer and pouring water over the other. What changed? When one eats a carb heavy meal followed by plenty of fluids, they are likely to weigh a lot more the next day. What’s the answer? Don’t eat carbs? That would be ridiculous. Instead, the awareness that this may happen minimizes panic, especially if you are looking at patterns over time. Saturday morning: I’m at my lowest weight of the week. I will then refuel that day. Sunday morning: I’m up 4-6 pounds depending on food intake. If the food was salty and high carb, and I drank plenty of liquids, my scale weight may be even higher. I look inflamed and feel pretty lousy. 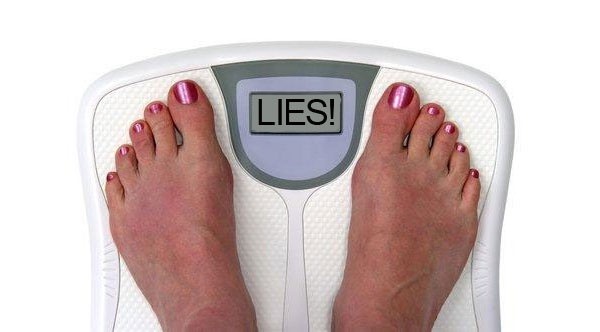 Monday morning: My scale weight is still the same, even with lighter eating on Sunday. Panic mode? No, right now food is sitting in my digestive tract and muscles, especially if I didn’t train hard that Sunday. I normally eat differently on Saturday than the rest of the week, and the body doesn’t take too kindly to that, delaying the digestive process even more. Tuesday morning: The scale drops. I don’t look as full. This day is usually a lower carb day, and I’ve expelled most of the carbs I’ve eaten over the last few days. Wednesday morning: I’m at my second lowest scale weight of the week. Wednesday nights I do a mini refuel. Again, depending on what I eat, I will be up 2-3 pounds the next morning. Thursday morning: Rest assured, I’m up in weight. Because food volume was not huge, I can expect a decent weight Friday morning. Appearance wise I look less drawn than Wednesday as a result of the increase carbs Wednesday night. Friday morning: Down from Thursday, but not quite at last Saturday’s weight. No worries, especially if I eat at a decent hour on Friday night and the food is not overly salty. Saturday morning: I’m usually at the same bodyweight as last week if not a tad bit lower if that was my intent. Does scale weight measure all of these? Then perhaps we need to place scale weight in perspective. Struggling with your program? Need motivation? Looking for the next quick fix? You can’t seem to get motivated? Waking up in the morning is difficult? Boredom setting in? Not hitting your goals? This video is not for the faint of will. Step up or Shut up? DELIBERATELY INTERPRETED IN A WAY THAT HAS LED TO SELF-SABOTAGE. Does it really come down to your perspective? This powerful vid may just provide that answer. I dictate my direction in life. I don’t follow the pack. I control my environment, not leaving things to chance. I take full responsibility for my actions knowing by blaming others, I relinquish control of the ability to change for the better. When you really want to start living, you stop blaming people for everything that goes sour, and you OWN UP to your actions. The moment you do that, there’s a power that comes with it. Watch what happens when you become the “Driver” of your own life. 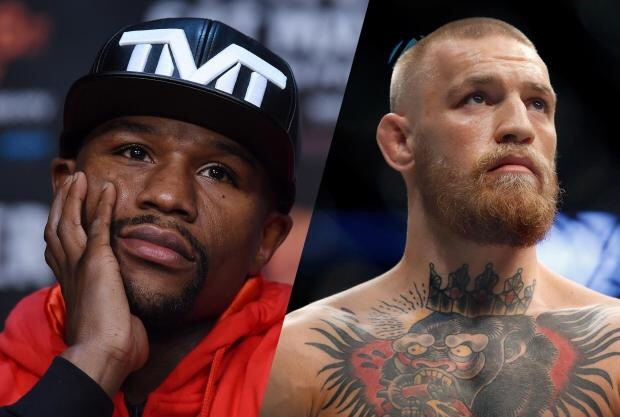 THE FIGHT THAT I WANT TO SEE HAPPEN, MCGREGOR VS MAYWEATHER….. WHY? Because they WILLED it, the fans want it, irrespective of the organizations they represent. Both athletes are known celebrities who put people in the seats and help to make the events great. What does this have to do with Natural Bodybuilding? Simply this…. WE the athletes have a HUGE say in what we want to see happen within our sport. Mayweather understands this and puts on his own events. McGregor understands this and explains this and pushes the envelope in spite of the UFC. So many of my peers have talked about a SuperBowl of Natural Bodybuilding…. some of us almost begging the organizations to come together to some sort of consensus. We have talked about this for 5 years only to see the sport get more and more convaluted and fragmented. Do you know when the Super Bowl of Bodybuilding will happen? Do you know why it won’t happen? Athletes have their own agendas, interests, sponsorships, friendship ties to various organizations, drug testing related loopholes, proximity, etc, etc. All testing is WADA style similar to the major sports organizations. Do I expect to win? I don’t really care…. I just want to compete, and at the highest level with ZERO GREY AREA. The criteria will weed out most. What’s left, bring it! What will the interest level be? Most if not all organizations will have zero to do with the full criteria list even though hundreds of pro athletes would accept these conditions. You would only have a few athletes say yes to such a proposal either because they don’t agree to the terms (which would speak volumes) or because Natural Bodybuilding has become more of a club where athletes are seeking acceptance within an organization than actually competing. Let’s not tick off the hands that feed us for fear of wrecking our placing or status. Again, I go back to Mayweather and McGregor. The fight WILL happen. 2 men getting together to make something HUGE work. My fellow competitors, let this be a seed planted. That’s the Bottom Line. How badly do you want to change your physique, your health, your situation? Ask someone that question and they usually say 8 or 9. After a few seemingly “big challenges”, that usually drops to a 6, as one lags in progress. That’s when doubt creeps in and old insecurities surface. Justifications begin and the person begins to rationalize why they are failing. We all do this. LOCKED DOWN BY EXTERNAL INFLUENCES TO MAKE IT WORK. Yet when it comes to something important like our health, we waiver on our commitments. Keep your goal in front of you. Win the daily, sometimes hourly battles. LOCK DOWN YOUR SUCCESS WITH AN EXTERNAL INFLUENCE. Sign up for a contest or event. Perhaps put some money on the line. You already do that with car payments, bills and your mortgage. Which leads me to the question? ARE YOU REALLY COMMITTED OR ARE YOU JUST TALKING? When I hear this kind of talk, what I really hear is a person who leads a boring life. Everyone should enjoy their food and pick their spots where they sensibly enjoy some “fun”foods, especially if you have worked out hard over the course of the week. IF YOU NEED PIZZA TO SPICE UP YOUR THURSDAY NIGHT??? THEN MAYBE YOU NEED TO REVISIT SOME OF THE PASSIONS YOU’VE BEEN NEGLECTING OVER THE LAST FEW YEARS. from the pressure of the daily struggles. THERE’S MORE TO LIFE THAN EATING. …….or else……well, you know the rest. THE BOTTOM LINE (EP. 3) WHATS’ YOUR WORD WORTH? Nothing makes me happier than seeing a person committed to a worthwhile fitness goal and following through for all of the right reasons. “You have my word signed in blood and sweat”, “I’m doing this to set an example for my family”, “I know I need to change my lifestyle NOW before its too late”, “I will be your best student ever” BLAH BLAH BLAH. However, if you say you are going to do something, COMMIT! FOLLOW THROUGH! I have no problem with someone who, half way through the journey says, “Hey look, I’m having a tough time….can you help me work things out” THAT’s a sign of courage. I will give of myself to help you. I’m also ok with the person who states all of the reasons why he needs to follow through yet says “Honestly, I’m gung ho but a little nervous and maybe a little doubtful”. At least you are real and owning your fears. That’s real talk and it’s addressing the core of what holds people back. How can you not want to work things through with a person who is trying? Hang in, you are going to make it. However, your word is your worth, and when you fall short on a meaningful promise to yourself and others, you are the one who will need to live with the pain of regret, the disappointment in the eyes of others, and all of the other negative consequences of quitting. That’s a nasty price to pay. If you do, in fact fall short on your word, don’t despair. It’s a message that you have some weaknesses. OWN THEM. STEP UP! That takes courage and it’s the easiest and best way to redeem yourself. Instead of worrying about what others think of you, DO YOU! I’m too busy achieving my goals and supporting those around me, people I truly care about, to worry about the “chatter”, the “gossip”. Now that’s the Bottom Line! The gym gets crowded for 3 weeks in January, and then it’s back to the same old familiar faces? The cycle of failure is perpetuated year after year with very few breaking out of their former selves to resolve and follow through. Why is this? You can have the worthiest goal, yet you will only reach levels that your habits allow you to achieve. The ONLY way you will have success is if you TRAIN to the extent that when faced with an obstacle, you have successful practiced the right response enough times that you have come up with an immediate positive reaction to that obstacle. Case in point, if hunger gets to you, you have trained yourself to respond with delayed gratification, waiting until the appropriate time to eat. The reality is, I have a very hard time taking a day off from training. Why? Because I have worked out over 10,000 times in the last 30 years. That’s habits for you. Do you want to achieve amazing things? Then WIN THE DAILY VICTORY. “One day at a time” is the mantra. Choose 3- 4 key things that you MUST do daily, get them done no matter what, and then let the habit form. I would love to hear your big goal for 2017. Even better, I would love to hear your 3-4 Daily Actions that will ultimately get you to that goal. will tell the true tale of your success or failure.